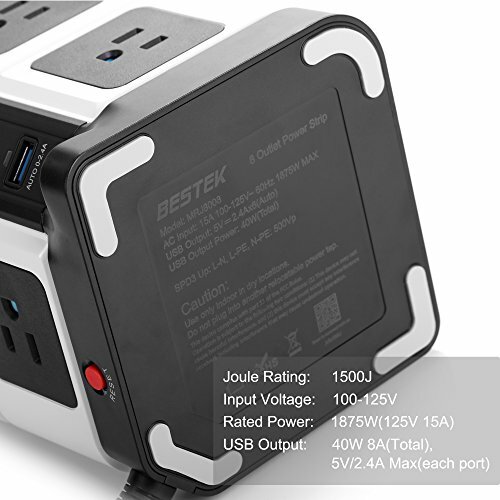 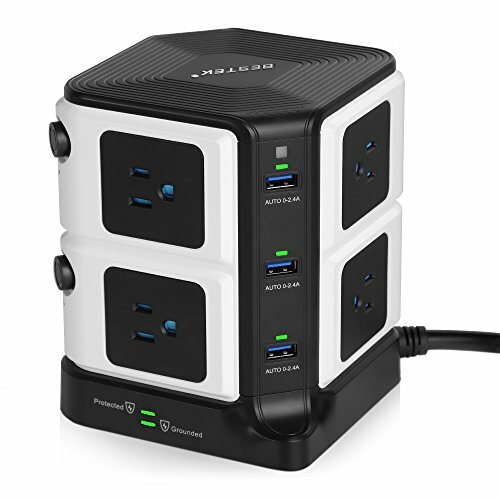 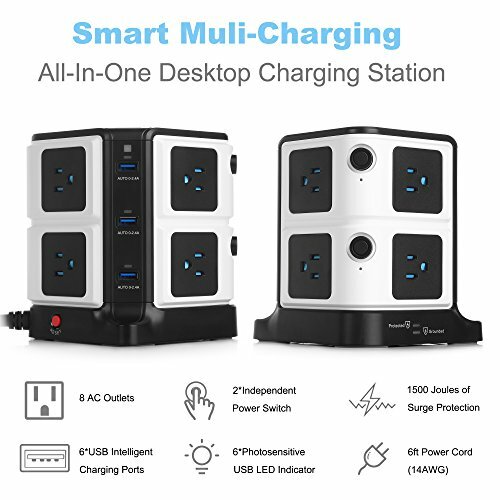 The BESTEK 8-Outlet Power Strip and 6 USB Charging Ports with 1500 Joules Surge Protection provides plenty power for charging your multiple devices simultaneously. 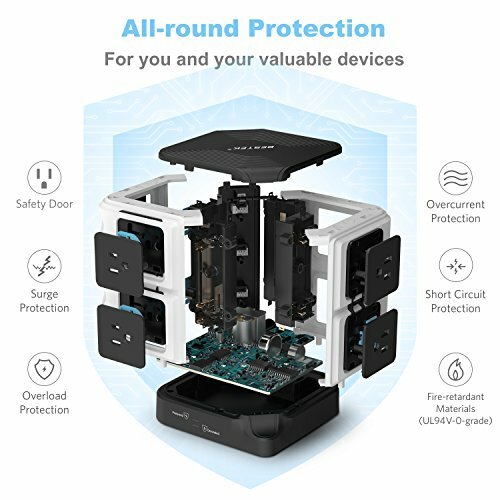 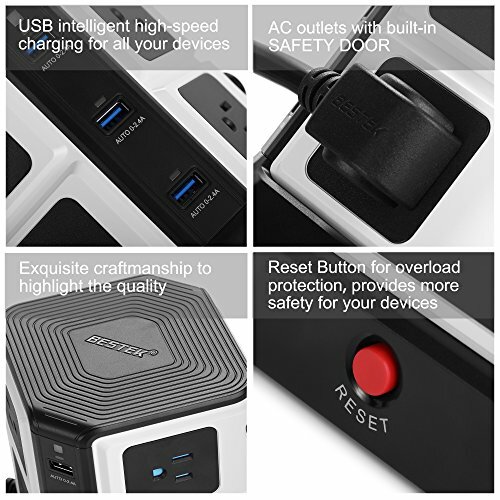 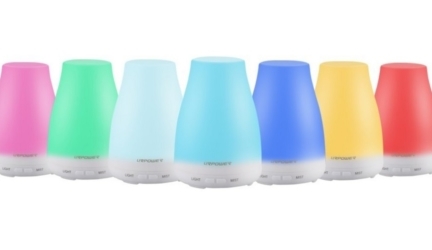 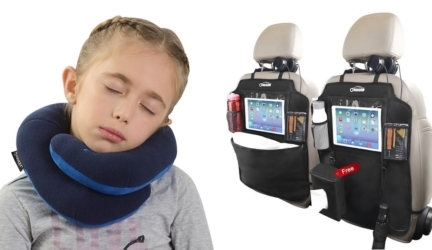 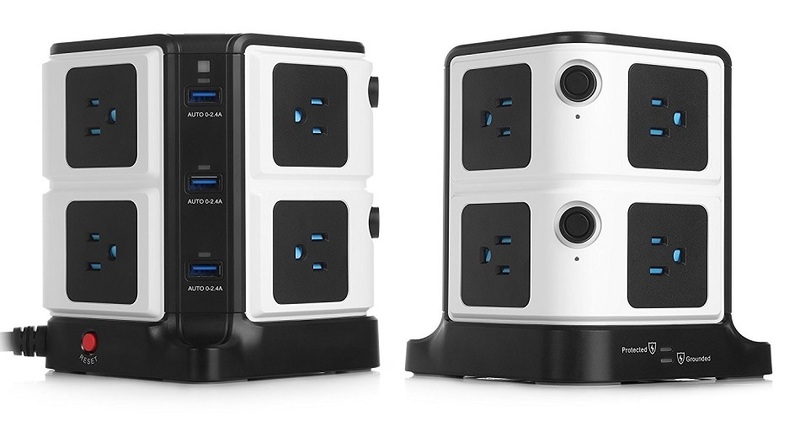 You get 6 Smart USB Charging Ports with 40W/8A total output and 8 surge protected outlets with socket safety door, protecting kids from unexpected electricity shock. 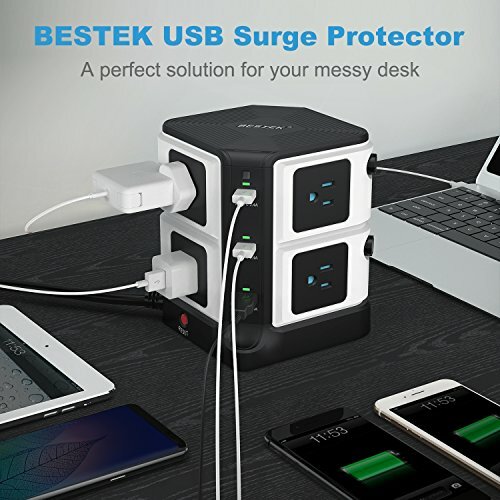 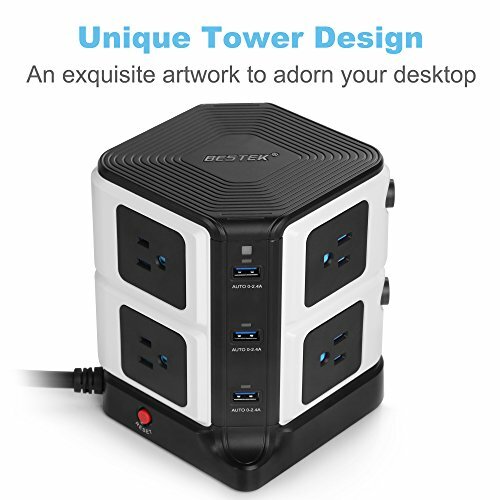 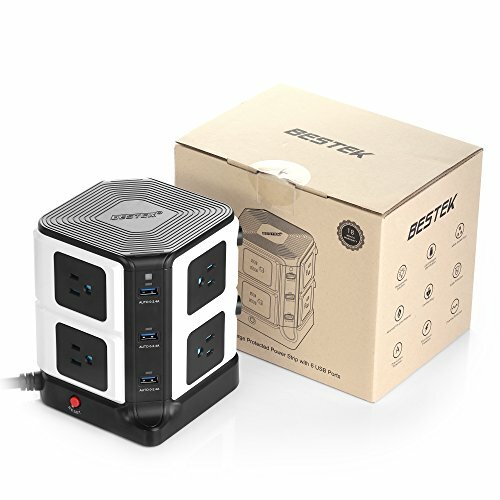 The BESTEK USB Power Strip has a unique desktop tower design,a perfect solution for your messy desk!